You have to get everyone up early. That combination of events can spell disaster for families. If your family is anything like ours, you can have sour attitudes, unkind words, and tired kiddos one minute and then expect everyone to hop out of the car with bright faces the next. Navigating Sunday mornings can be tough. And handling it badly can keep your kids from having a good childhood church experience. There are many things that will help your kids learn to love church but creating a healthy, happy, great Sunday is key. 1} Build a foundation for why you are going to church. Talk about the Sabbath day and what it means to believers. 2} Plan ahead by choosing Sunday clothes on Saturday, getting to bed early on Saturday night and making sure the whole family knows what your expected leave time will be for Sunday church. 3} Keep family a huge part of the day. Have breakfast together, ride together, sit together... even in churches full of activities for all ages, you can make sure that your kids understand that you go to church and worship as a family. 4} Make friends in church. Go to lunch with another family, attend a small group, stay and chat after service. Let your kids see that you all have friends in the body of Christ. 5} Use positive words. Every church has issues! Don't drive home and talk about them in front of your kids. Keep your chatter positive no matter what. Kids need to see their church with good eyes not tainted eyes. 6} Make sure kids know that church is FOR THEM TOO!! Whether your church has kids church or not, kids are not going with you to church. THEY are going to church. Why? 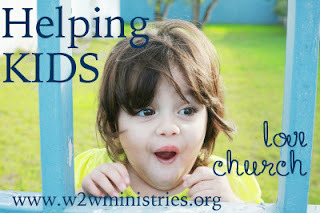 Because kids can learn about God, kids can worship, kids can pray and kids can serve! They are a valuable part of the body and need to know that their attendance matters. They don't have to grow up to be a part of church! 7} Be loyal. I can't say this enough. Church hopping will greatly effect your kids ability to settle into church as an adult. Be very wise about when, how and why you change churches. 8} Get Joy. Your attitude as a parent each Sunday will determine how your child feels about going to church. Let us be glad when we go into the house of the Lord! 9} Be vulnerable. Church isn't about perfection. Kids can't live up to perfect. They need to know that is ok to make mistakes and that church is a great place for them to learn, grow and develop life skills. You give me your #10! Leave your ways of helping your kids love church in the comments of this post. This is a great discussion for parents to help each other as we raise our kids to love the family of God. Great tips! Some we failed in, most we accomplished...all 4 of my babies are adults now and serving God and training my 10 beautiful grandbabies!!! All glory to God!! what a testimony! Praise God! Love it Jenilee!! #2 is a big one here. On Saturday we get everything from underwear to Bible and coats out! And we strive to be in bed on time. I think my #10 would be stay calm. If the morning starts to go bad, don't let satan have that foothold and make you angry. Keep calm. I play worship music in the house from the moment I wake up, since I am first, until we leave. It helps keep us calm and gets our hearts ready to worship! I love your #10! yes!